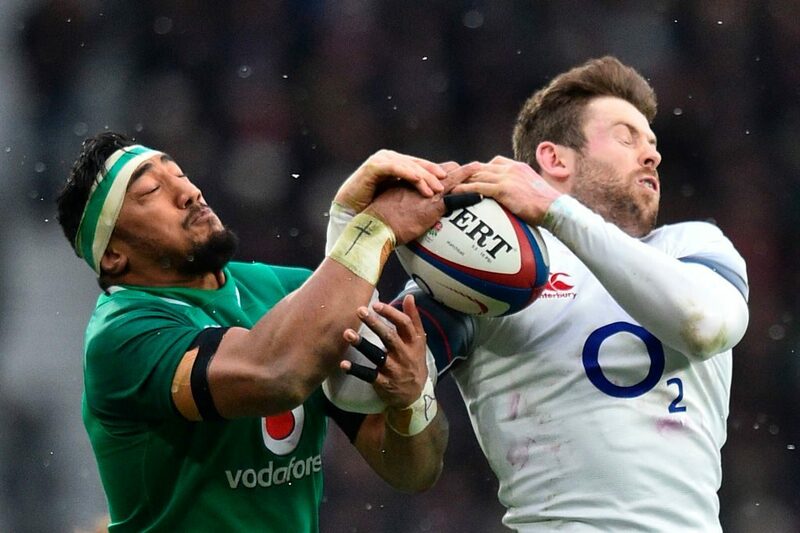 Victory against England in Dublin will strengthen Ireland’s claim to the 2019 Six Nations crown and enhance their status as Kings of the North, writes JON CARDINELLI. Given Ireland’s favourable draw, other strong contenders for the 2019 title – such as Wales and England – will have to make a statement in the early stages of the tournament. 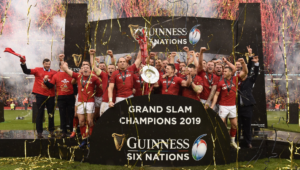 A win for Wales in Paris, followed by a victory for England in Dublin would certainly upset the status quo and make for a more interesting scrap in subsequent rounds. Wales finished the 2018 Six Nations in second place. They then went on to score seven consecutive wins against southern hemisphere opponents and end the year at No 3 in the World Rugby rankings. 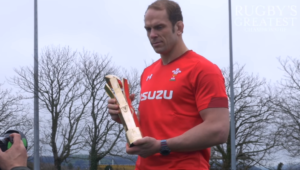 It’s not hard to understand why some are tipping Wales to win the 2019 Six Nations and knock over some of the traditional powerhouses at the World Cup later this season. Can France break down that formidable Wales defence on Friday? It will be interesting to see how they go about the challenge. 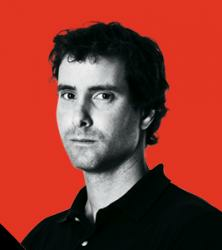 Coach Jacques Brunel has selected a massive French pack for the occasion. South African-born lock Paul Willemse is set to earn his Test cap. Expect a brutal and bloody affair at the collisions. Wales should have the edge at the breakdown, though, and it wouldn’t surprise to see them converting the pressure applied at the tackle area into points. France – 15 Maxime Medard, 14 Damian Penaud, 13 Wesley Fofana, 12 Romain Ntamack, 11 Yoann Huget, 10 Camille Lopez, 9 Morgan Parra, 8 Louis Picamoles, 7 Arthur Iturria, 6 Wenceslas Lauret, 5 Paul Willemse, 4 Sébastien Vahaamahina, 3 Uini Antonio, 2 Guilhelm Guirado, 1 Jefferson Poirot. Scotland scored big upsets against England and France last season, and managed to push the Springboks close in the fixture played in Edinburgh during the November window. They will go into the 2019 Six Nations with confidence. Their opening fixture against Italy must be viewed as an opportunity to begin their campaign with a bang. The Azzurri have not won a Six Nations match in the current World Cup cycle. 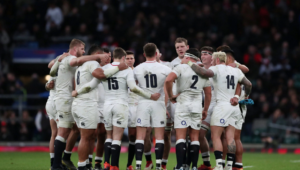 They finished 2018 ranked 15th on the World Rugby ladder – behind tier-two nations like Fiji, Japan, USA, Georgia and Tonga. Will their defence stand up to the attack of Scotland? Italy leaked 27 tries and as many as 203 points in the 2018 campaign. They did push Scotland relatively close in Edinburgh last year, though. Scotland should be looking at this game as a chance to bank a bonus point and boost their points differential. It they win big against Italy in Round 1 and then beat Ireland in Round 2, they will be well placed ahead of some tough away fixtures. All Blacks coach Steve Hansen dubbed Ireland the best Test side in the world following the monumental 16-9 result at the Aviva Stadium last November. Ireland’s success against the No 1-ranked side capped a great year for a team that had won the Six Nations Grand Slam and claimed a historic series victory in Australia earlier in the season. Ireland certainly have the power as well as the smarts to retain their Six Nations title. They’ve got a favourable draw too, considering that they will play England and France in Dublin and that their toughest away fixture – in Cardiff – is scheduled on the final weekend of the tournament. A lot will be riding on the result of this weekend’s fixture, though. Ireland could strengthen their claim for another title with a win against England on Saturday. England, of course, could make a statement in slaying a side recognised as the tournament favourites, as well as the world’s form team. England coach Eddie Jones believes that all the pressure is on Ireland ahead of the coming clash. 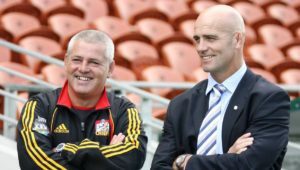 Assistant coach John Mitchell has baited the Irish by suggesting that they play boring rugby – a reference to Ireland’s excellent forward approach and kicking game. England are under pressure, though, after recording some poor results in 2018. Jones’ side finished fifth in the Six Nations and then lost 2-1 to a rebuilding Springbok side in the series staged in South Africa. They have the toughest draw in the sense that they will play Ireland and Wales away from home. England have to win at least one of those big games to keep their title hopes alive. Cold and clear conditions are forecast for Saturday afternoon. This shouldn’t affect Ireland’s tactical approach, though, and the England back three should expect a big test under the high ball. The battle between Johnny Sexton and Owen Farrell promises to be one to savour. However, with the Ireland pack better equipped to win the set pieces as well as the breakdown, Sexton should enjoy more space to operate and ultimately more of an opportunity to influence the outcome.